Eugene K is a UK based musician. He was born in Russia into a musical family and from a very early age was surrounded by music. At the age of 12 he started seriously studying music and playing guitar under the influence of his father, who was also a musician. His musical career started in a school band, playing pop and rock music. In parallel with many hours of rehearsing with the band he studied music theory and classical guitar. With a view to advance as a musician, Eugene undertook a four-year course at the Moscow College of Music. During this time he studied other musical instruments and music subjects, composing and arranging music for various orchestras and bands. After years of studying and analyzing music, he developed his own method of teaching, and remained at the college as a teacher of Jazz Improvisation.Since living in the UK he has toured with the band, and as a solo artist. He has lectured and performed at The Royal Academy of Music, BBC radio presented a special program about Eugene and his musical career. Eugene also composes and produces original compositions for films, commercials, TV and radio programs. Amongst his clients are well-known film/TV production companies such as Universal, NBC¸ Fox, CBS, Walt Disney, Warner Bros., etc. Magenta Green is his new album now on sale at CDBaby. No one can deny the energy created during a live performance; it’s magical how an artist can mix with the audience and make that moment powerful and memorable. That’s exactly what saxophonist Marcus Anderson’s intent was when he recorded NOW, his third solo CD. He was determined to capture that energy from his live shows, and make NOW his most dynamic, joyful, and creative recording yet. Joining Marcus on NOW is Four80East, Nicholas Cole, Julian Vaughn, Nate Najar, Marcus Cole and Marcel Anderson. Each artist has a special connection to Anderson’s live performances and understands what he wanted to capture. NOW is rich with 13 solid tunes; 11 originals that show his vibrant horn playing, a couple of stylish R & B vocals and two fan favorites: Smokey Robinson’s “Cruisin” and “Remember the Time”, a Michael Jackson cover. Marcus Anderson’s NOW will rock you, groove you, move you and fill you with the energy that you feel when you see him perform live. This title was released on June 28, 2011. As romance goes, the cross connection couldn’t be more appropriate. 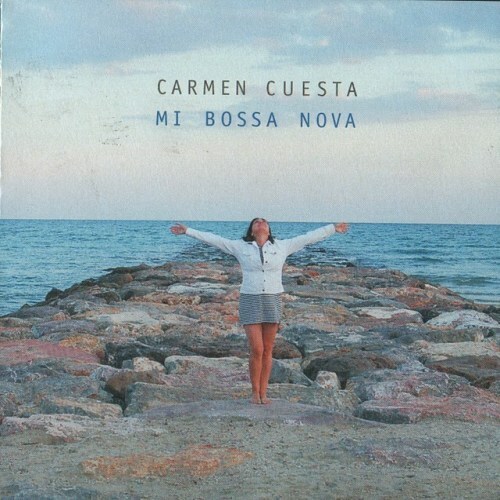 Vocalist Carmen Cuesta celebrates bossa nova, that elegant blend of Brazilian song and North American jazz. Mi Bossa Nova (Tweety Records, 2011) is a collection of 11 titles, seven of them written by renowned Brazilian composer Antonio Carlos Jobim. Cuesta’s core accompanists are pianist Matt King, drummer Brian Dunne , percussionist David Charles and her husband, guitarist Chuck Loeb, who also plays keyboards and, on selected tracks, bass. Bassist Christian Diener appears on several songs. “Jobim” is Cuesta’s tribute to the artist whose music provides the deepest inspiration for Cuesta. Cuesta’s blends well with the flutes. The lyrics provide hints of Jobim’s great songwriting, mentioning locations like Copacabana, Ipanema and Corcovado, as well as the “waters of March.” The song features flutists David Mann, Christina Loeb and Lizzy Loeb. The son of acclaimed Caribbean musician, Jethro Fadlin Sr., Courtney’s early musical influences were sound. He pursued excellence while attending and ultimately graduating from Berklee College of Music in Boston, Massachusetts with a Bachelor in Music, and a Masters in saxophone performance from the University of Massachusetts Lowell. Courtney’s musical ministry has taken him to various cities in the United States, Canada, Europe and The Caribbean. While he has performed for both Christian and secular artists, he has maintained his convictions and never compromises his style. Among the performers with whom he has shared the stage is, Ben Tankard, Warner Brothers recording artist John Stoddart, Hubert Powell, Melba Moore, Jamaican Reggae group “Culture”, legendary jazz drummer Louie Bellson and world-renowned jazz pianist Onaje Allan Gumbs. Gospel greats, Alvin Slaughter, Angie & Debbie Winans, Stephen Hurd, Willie & the Keynotes and Donnie McClurkin. In appreciation of his noteworthy talent, he has been invited to and has ministered at the Northern California Blues Festival, for the Governor General of Jamaica, and at a United Nations Conference held in Kingston, Jamaica. He has released five albums – Center of My Joy, I Believe, Another Chance, The Journey and Hymnology on the Acquire Records label. His newest album is entitled The Next Chapter and now available at CDBaby. Her debut album Shakin’ That Jazz (2003) featured Bobby Lyle, Karen Briggs and Everette Harp. Blending Brazilian, Smooth, and R&B sounds her devotion for jazz is undeniable. ….and the “SOUL” factor shall definitely be the common element throughout the entire record. Starting with the Acid-Jazz Funky influences of “And on this Light note” to the Brazilian touch of the more sentimental ‘Mio Amor” to the rock edge of “Squartazz” your musical panorama will be unmistakably spiced. 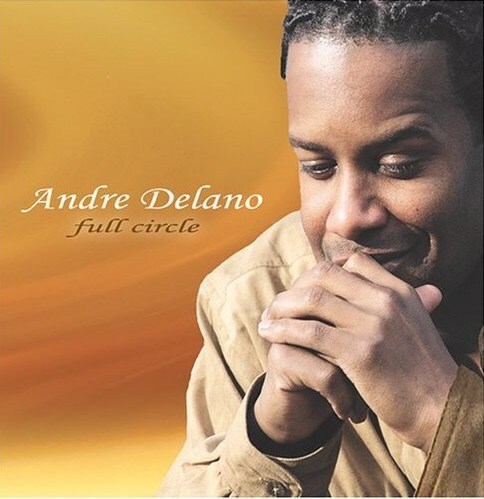 If you are a guitar lover and a Smooth Jazz “WITH AN EDGE” enthusiast you’ll be delight by the virtuoso-tasteful soloing present in this record without loosing a strong sense of the melody. Imagine a crossover between Geroge Benson, Larry Carlton and Santana “with a Flamenco twist”, then add a touch of modern fusion, blend the whole thing together and what you’ll get is a style of music that will get you going:-) The band present on this record is a unit deserving international recognition since most of them have experienced world tours with Major acts and “will do” the rest by delighting your ears with some “high-energy-funk” rhythm section plus a delicious “Saxophone work” present on “Something like love” dueling with Gìo’s guitar in a ending musical climax. 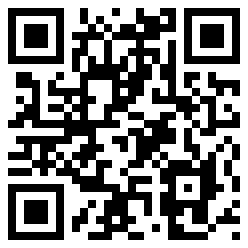 Scripta Manent is just arrived at CDBaby. Some CDs have “hidden” tracks. A glance at the label shows a list of 10 songs, but when you put the disc in the player, the counter shows 11. Recently, I discovered some hidden CDs – promotional copies that were sent to me several years ago. Due to a combination of timing and an accident that involved spring cleaning and broken furniture, several got separated from others that I was going to review at the time. Because of their age, there’s little point in giving individual reviews. But I do believe they deserve some mention. Workin’ (Highnote Records, 2006) is a live recording by saxophonist Don Braden, featuring Kyle Koehler on organ and Cecil Brooks III on drums. Recorded at Cecil’s Jazz Club in West Orange, New Jersey, the set includes unique arrangements of vintage soul ballads like Earth, Wind & Fire’s “Can’t Hide Love,” as well as “The Closer I Get to You” and “Feel Like Makin’ Love.” Most of the other songs are also romantic. Braden’s tenor is clean and rich throughout, and his interaction with accompaniment is first-rate.